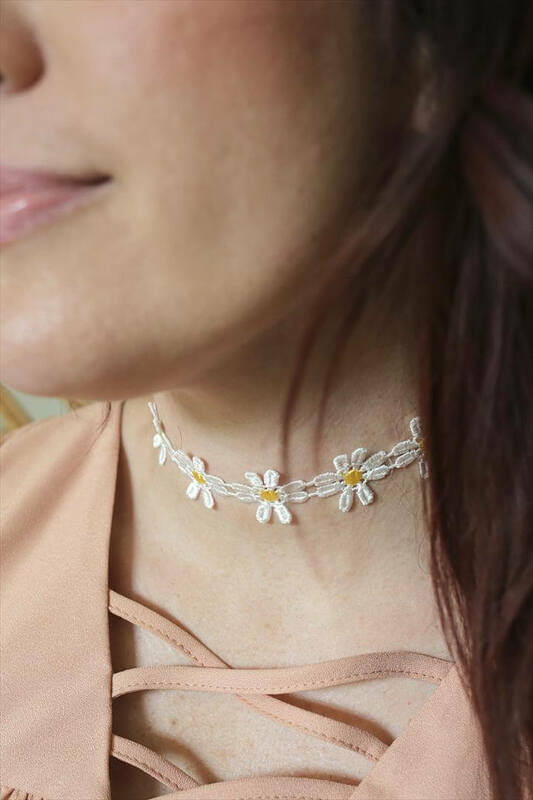 This jewelry item which is worn around the neck is basically one of the most primary and earliest items of ornaments used by humans. 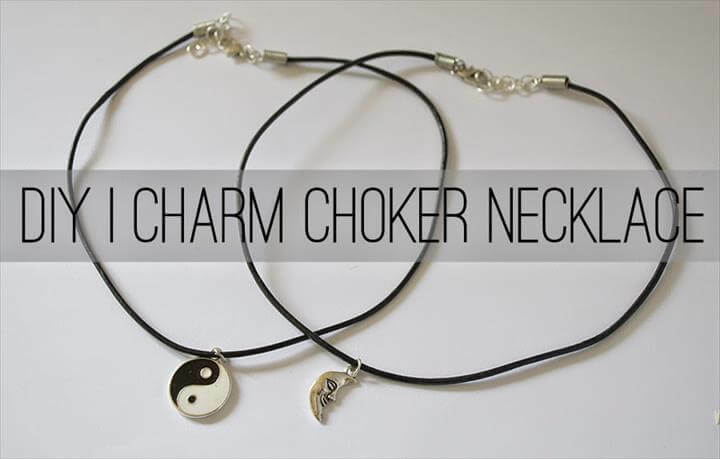 Neck pieces can be very artistically worn on any occasion be it religious, ceremonial, cultural or any other gathering. 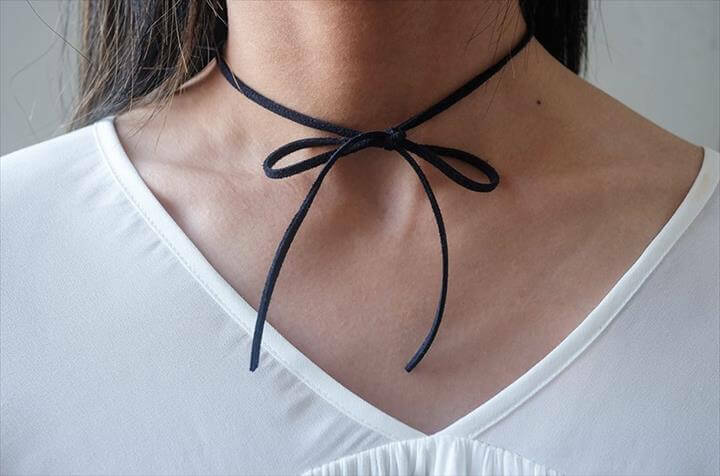 Chokers are basically closely fitted necklaces and can be made of a variety of materials depending on the customer’s choices and demands. 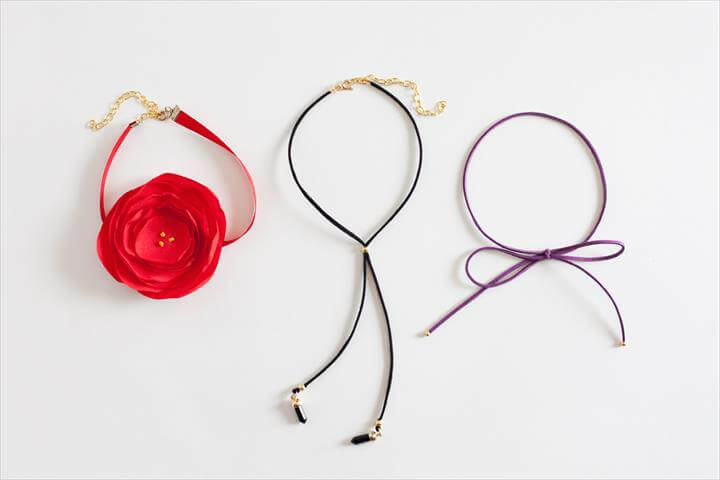 According to the latest fashion of today woman are fond of the choker necklaces made that comes with studs, sequins or a pendant. 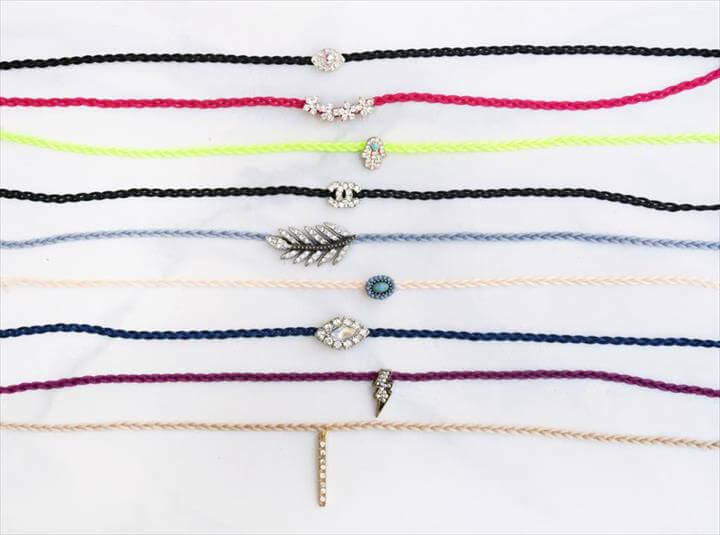 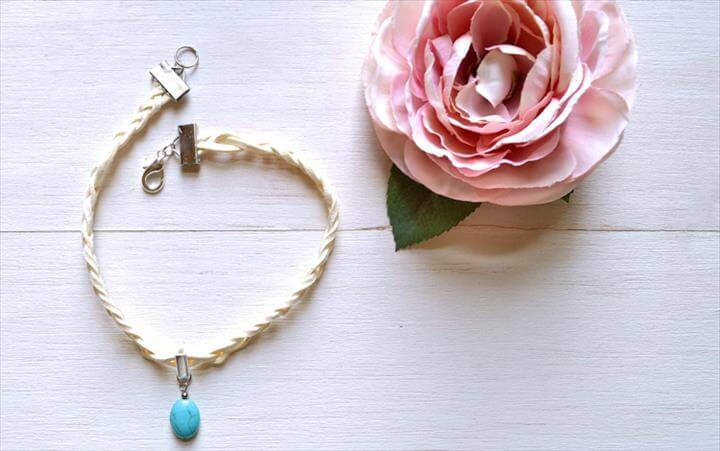 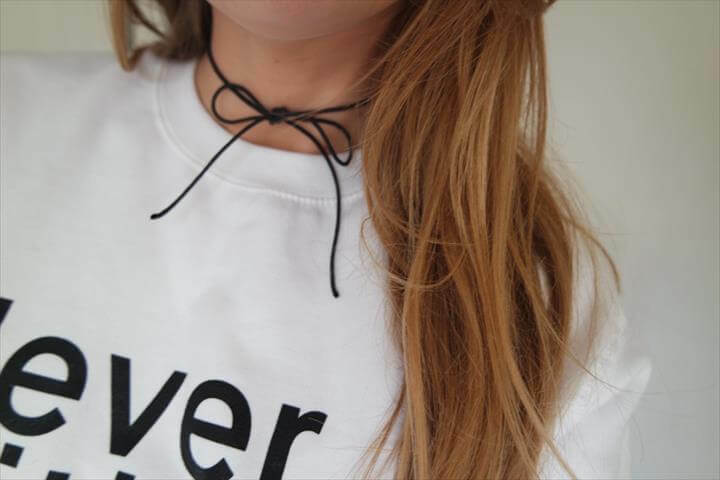 Have a look at these amazing and mesmerizing diy choker necklace tutorials. 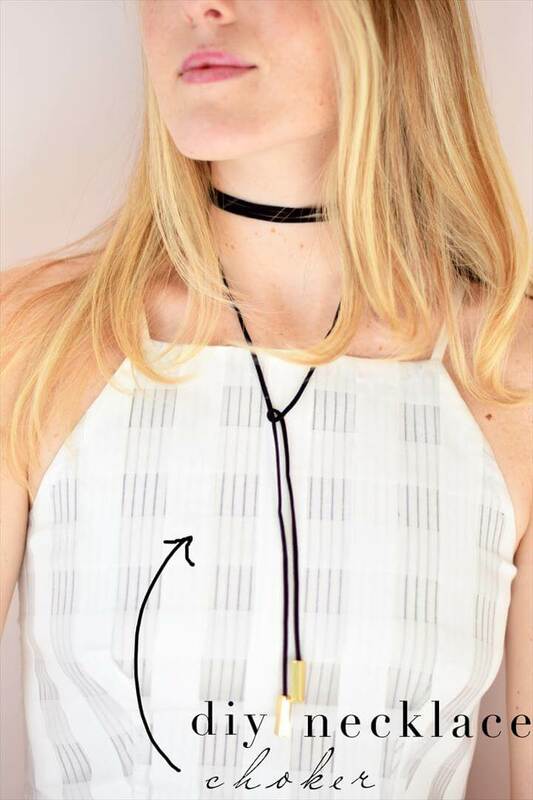 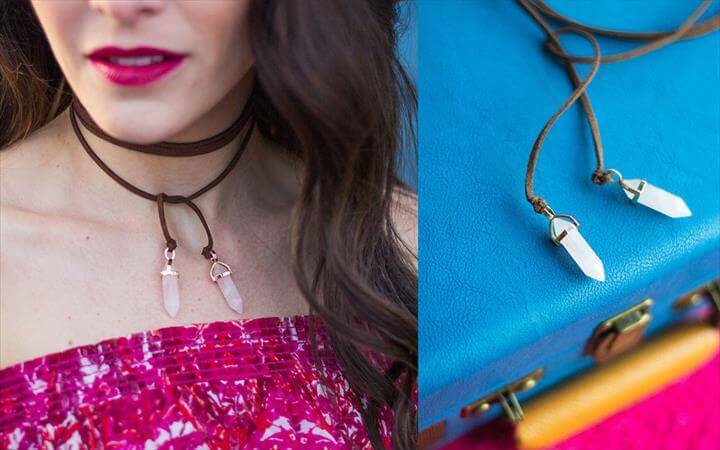 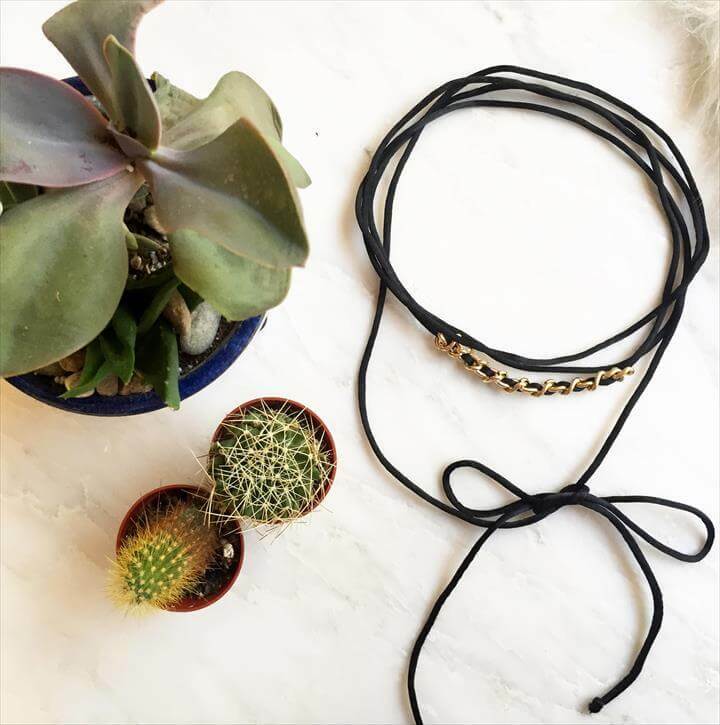 Grab some suede and make a suede wrapped choker neck piece that will go with any of your casual outfits on any informal gathering. 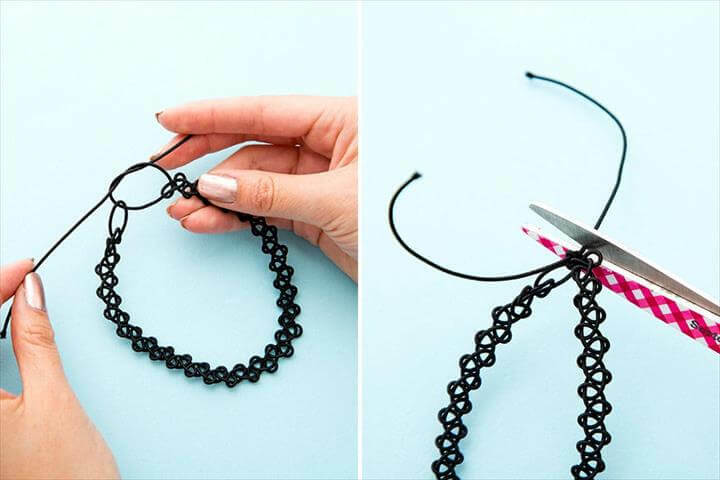 It’s a good news if you have a scrap velvet piece at your home left from any of your clothing etc. 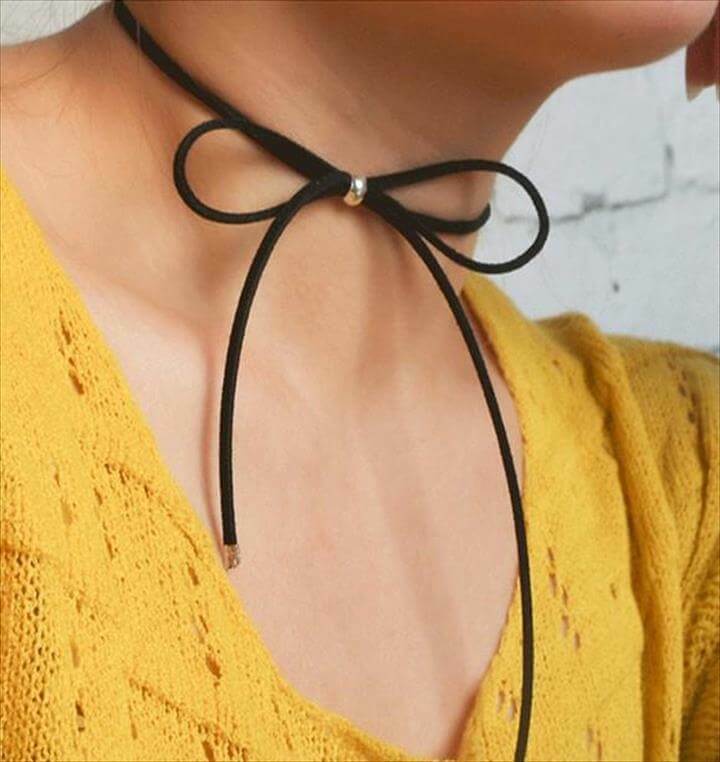 because that would definitely make a stunning velvet choker and you can also add some black beads to your masterpiece. 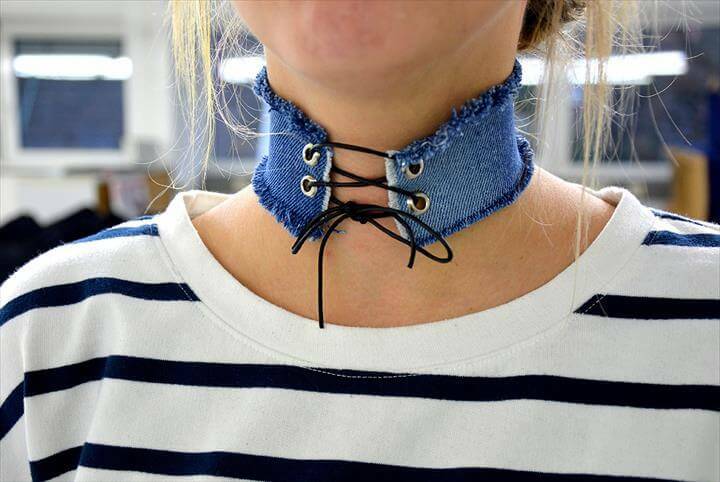 We all have old discarded jeans in our wardrobe so there is no better option than to use them in making a denim choker for your best friend and yourself. 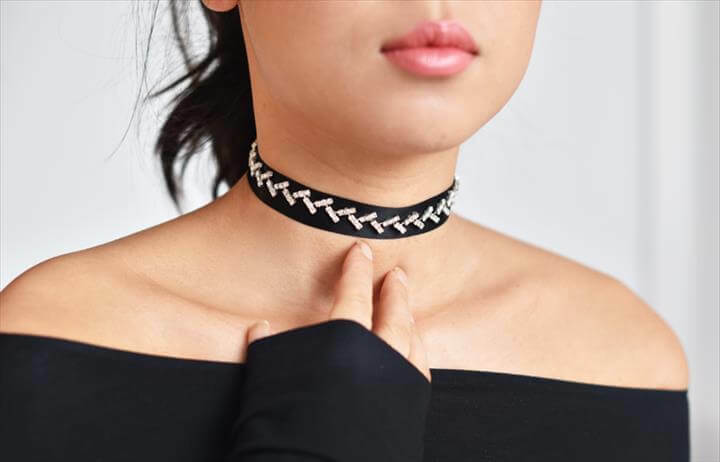 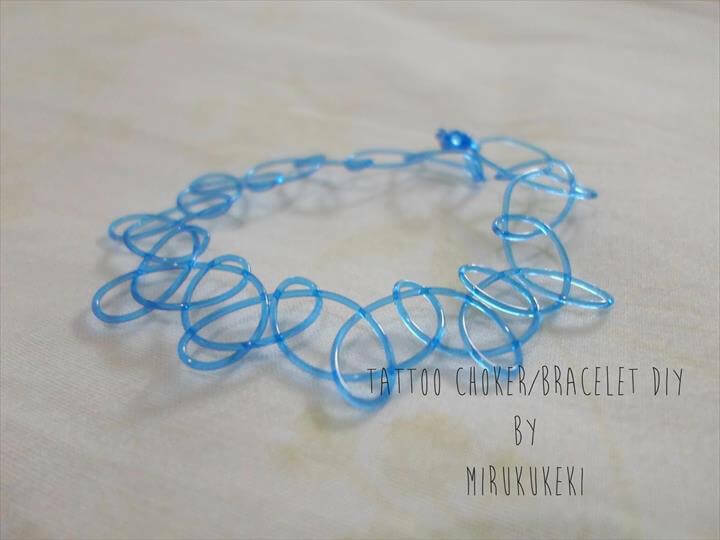 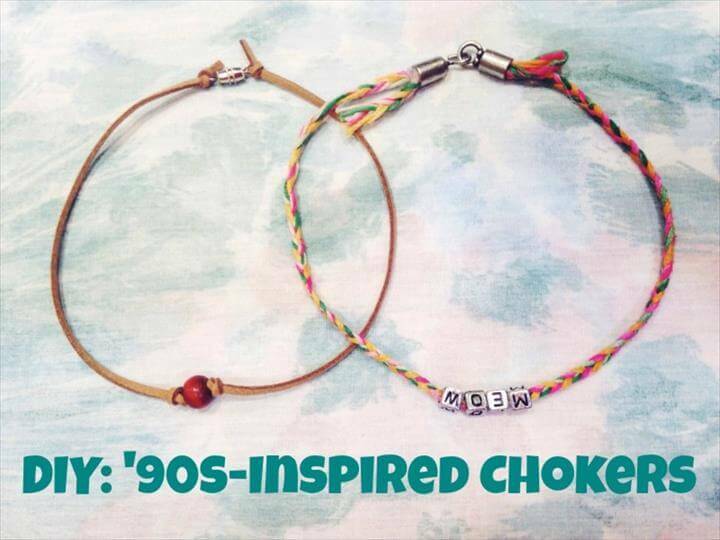 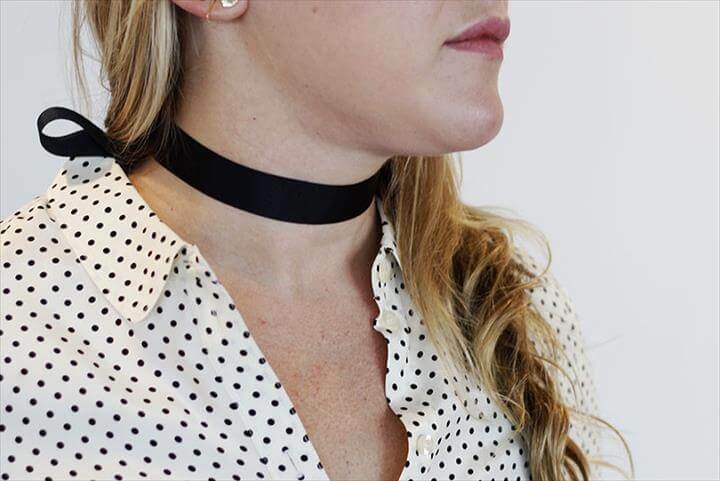 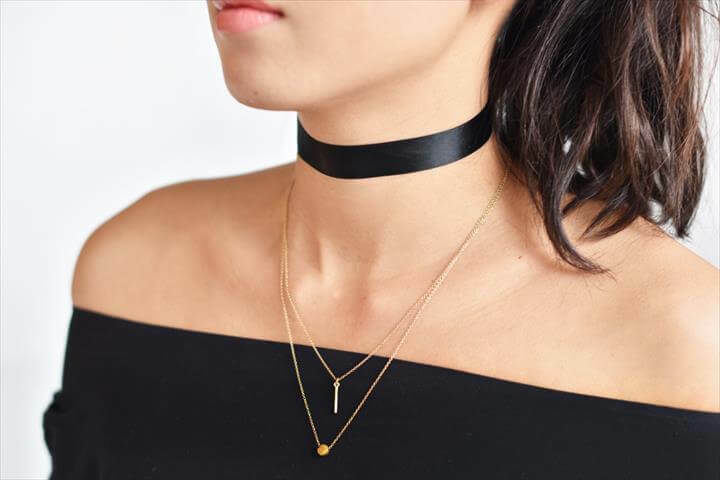 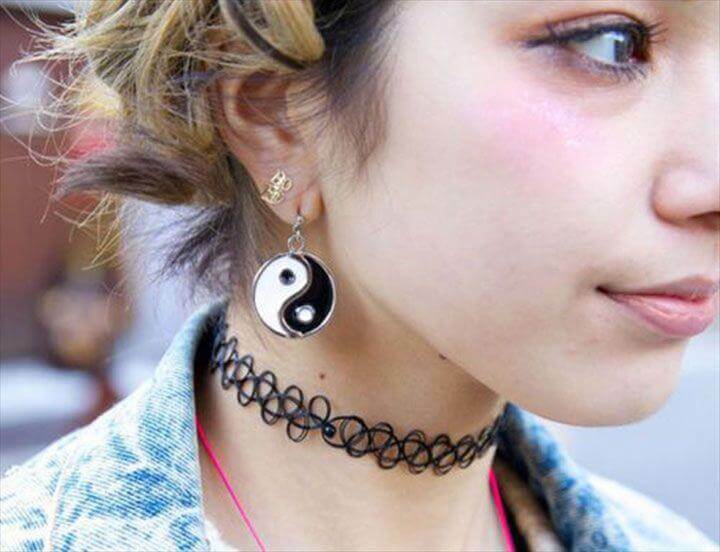 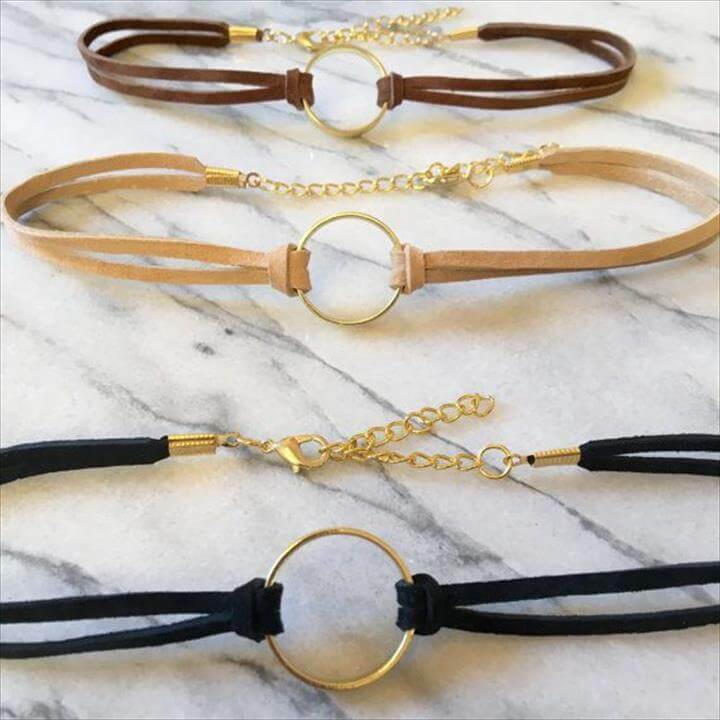 You must have a memory of those old tattoo chokers that were very much in fashion back in the nineties so try making those easy and trendy chokers to this season. 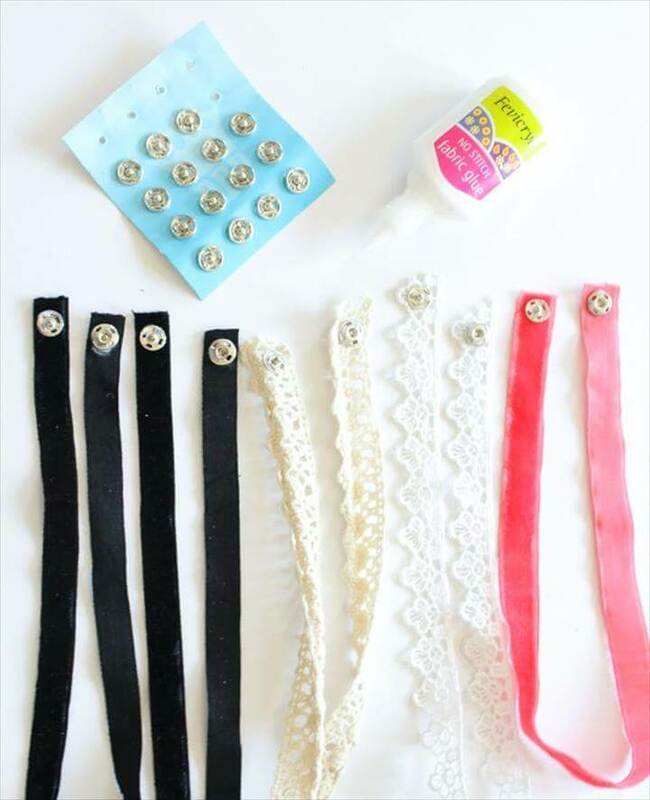 Also try making some braids out of colorful threads and also add some stones in the middle in order to give that typical dramatic look to your choker. 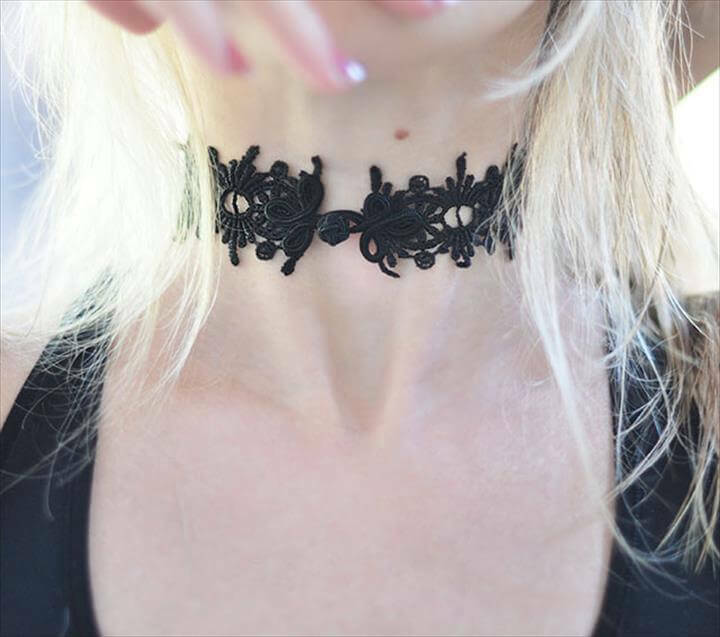 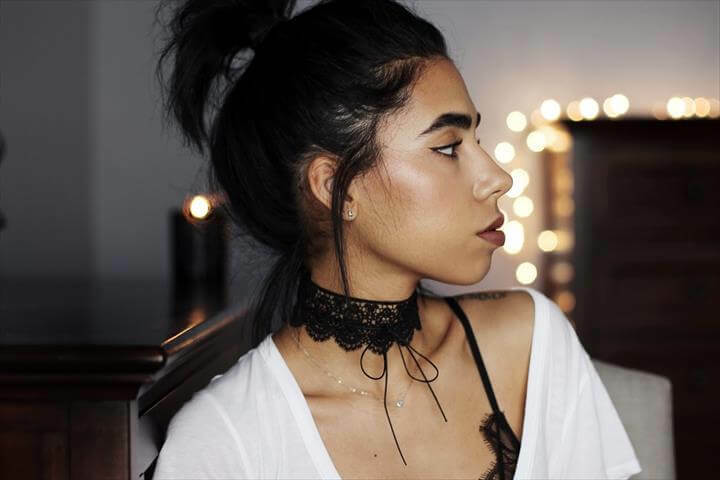 Lace chokers are the all-time favorite as lace always has that royal and fairytale look in them. 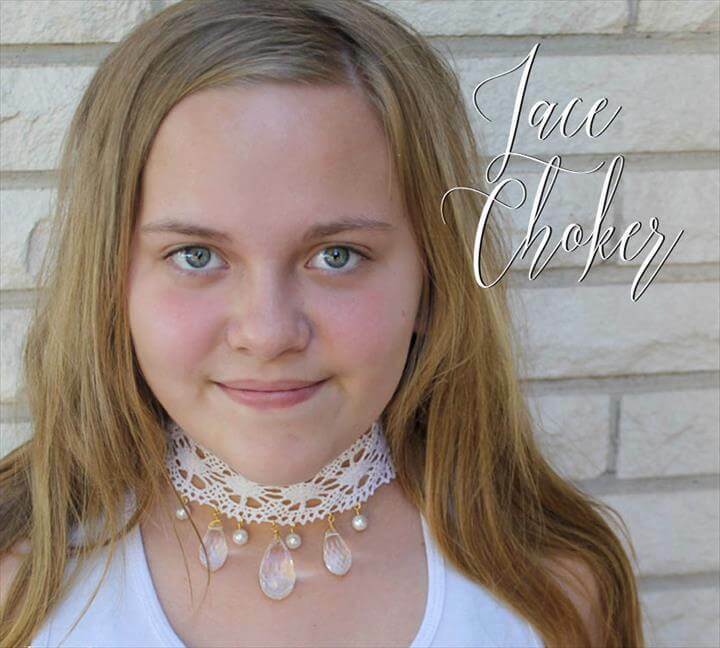 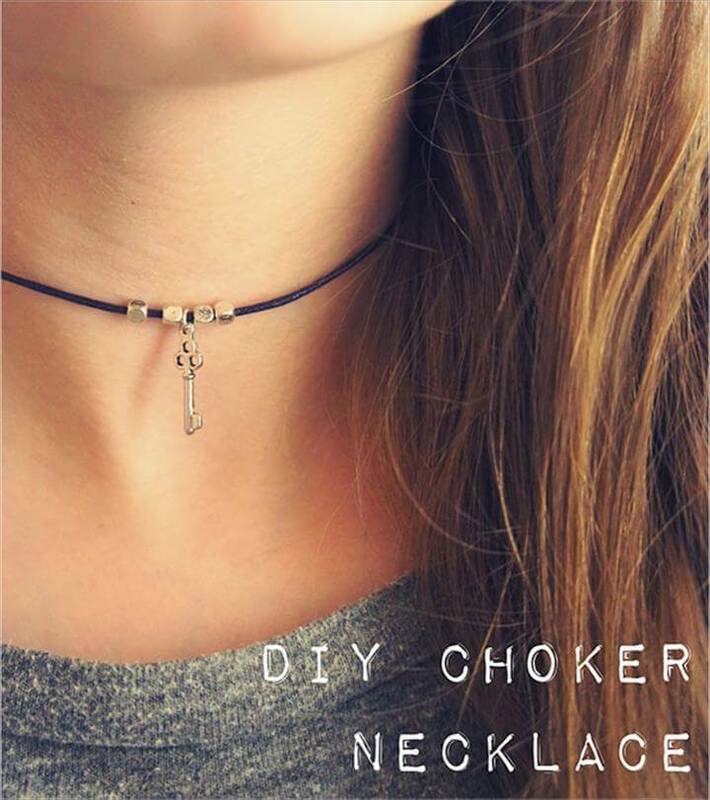 Next we also have heart choker necklace tutorials for you which you can find in the link given below the picture for you to know about the complete details of the project. 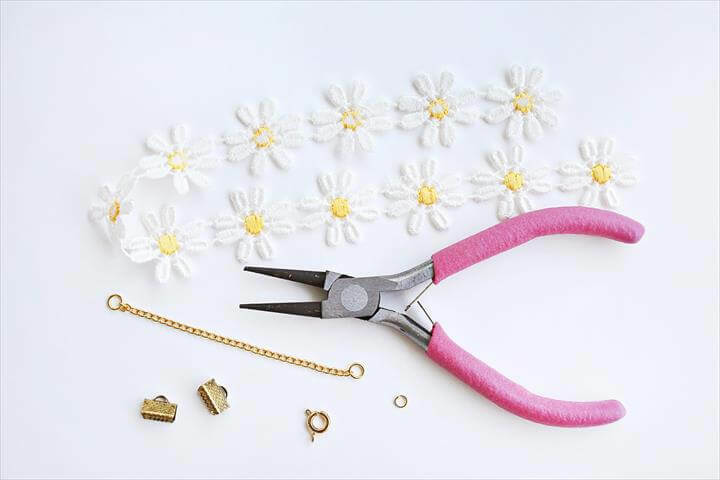 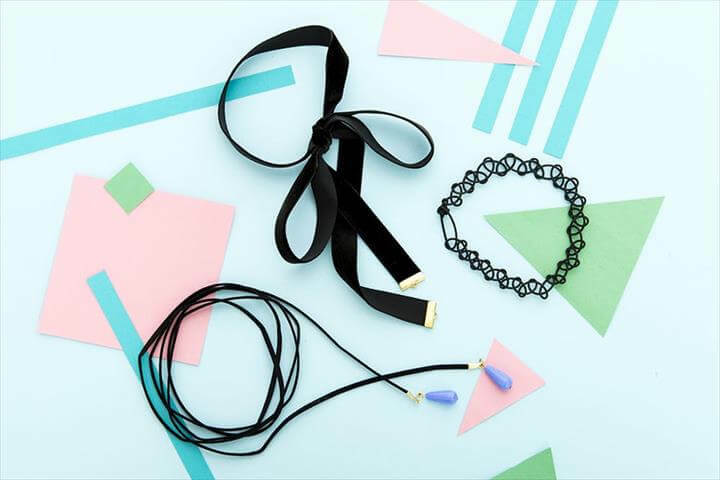 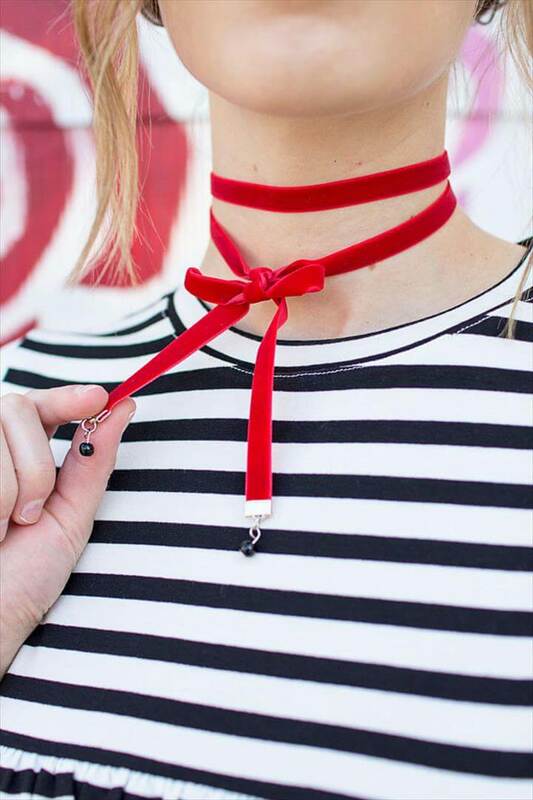 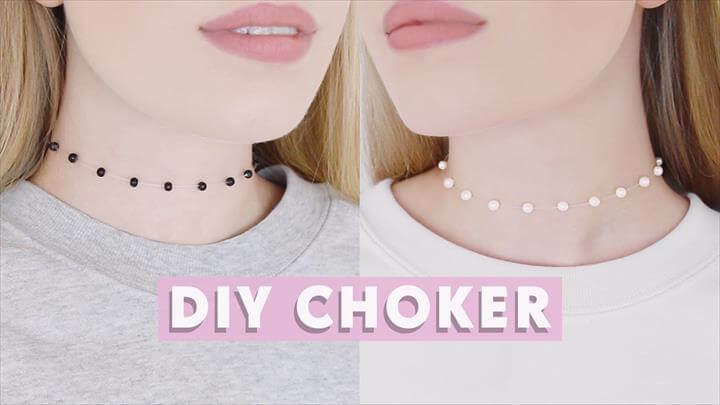 Grab some of the needed supplies for making these 44 DIY Fashion Crafts – DIY Choker Necklace With Tutorials exciting and fashionable start your project this season.